This functional skill assessment and learning program re-assessment tool was developed by Dr. Nielsen to meet the needs of children and adults with multiple special needs who are functioning at a developmental level under 48 months. The purpose of the tool is to create the best possible basis for developing an appropriate learning program for the individual. 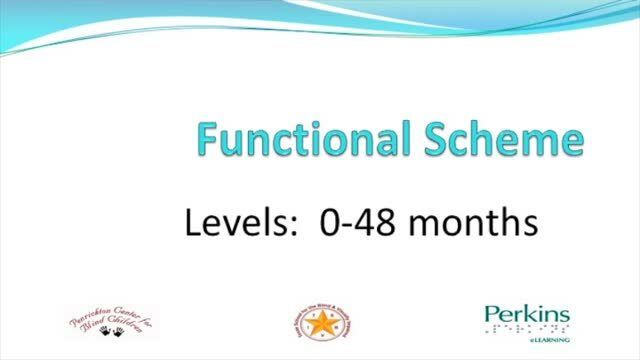 The functional scheme also evaluates skills that occur irrespective of a developmental level, and learned behaviors (such as poking eyes, tactile defensiveness, biting, hitting, etc.) that may impede developmental learning. Ideally this assessment should be completed by the individual's educational team working together with the parents or caregivers. The initial evaluation will take some time, but once it is completed, ongoing assessment is easy. This tool provides a concise record of the child's progress in the various developmental areas. The Functional Scheme Assessment is available through LilliWorks.